One UMI VOIX Earphone Every Day + One UMI eMAX at the last day of the contest. UMI eMAX is designed with a 7.9mm thickness body with over 3780mAh capacity battery. This mean for a heavy smartphone user, the phone can last 2-3 days long. 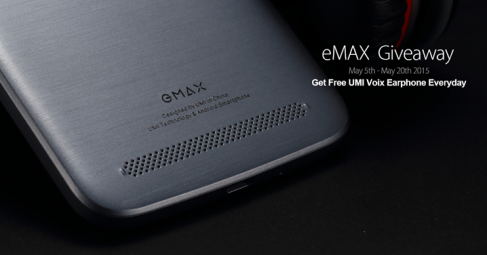 A special event is launched for the UMI eMAX from May 5th to May 20th 2015!